COLOURS + RUNNING = CELEBRATION! Our mission at The Color Run is to bring people together and make the world a happier, healthier place. We call The Color Run ‘The Happiest 5km on the planet’ because the event brings together friends and families in a unique entertainment and celebration. The Color Run is the original, largest and most unique 5k colour fun run in the world which celebrates healthiness, happiness, friendship and having the time of your life! Seeing how happy The Color Run has made people, has been tremendously rewarding for us. It is an event for all fitness levels, ages and backgrounds. Our tagline, The Happiest 5k on the planet, was created after seeing the expressions of pure joy from participants. Color Runners vary in demographics and reasons for running. With no winners or official times, The Color Run caters to everyone. Some Color Runners participate as a celebration and capstone of their healthy living accomplishments, while others participate for reasons unique to them. What are you running for? The Color Run is a five-kilometer, untimed event. At each kilometer mark, Color Runners are doused from head to toe in a different coloured powder. 2. You finish the race plastered in colour! Once the race is over, the fun continues at the Finish Festival, a larger-than-life party equipped with music, dancing, photo ops, activity booths, vendors, and more massive colour throws, which create millions of vivid colour combinations. Trust us, this is the best post-5K party on the planet! The Color Run has supported local charities since its introduction in the UK. Being a commercial fun run, we still favour opportunities where we give back to the community by supporting charities and organisations that care about children right and equal opportunities. 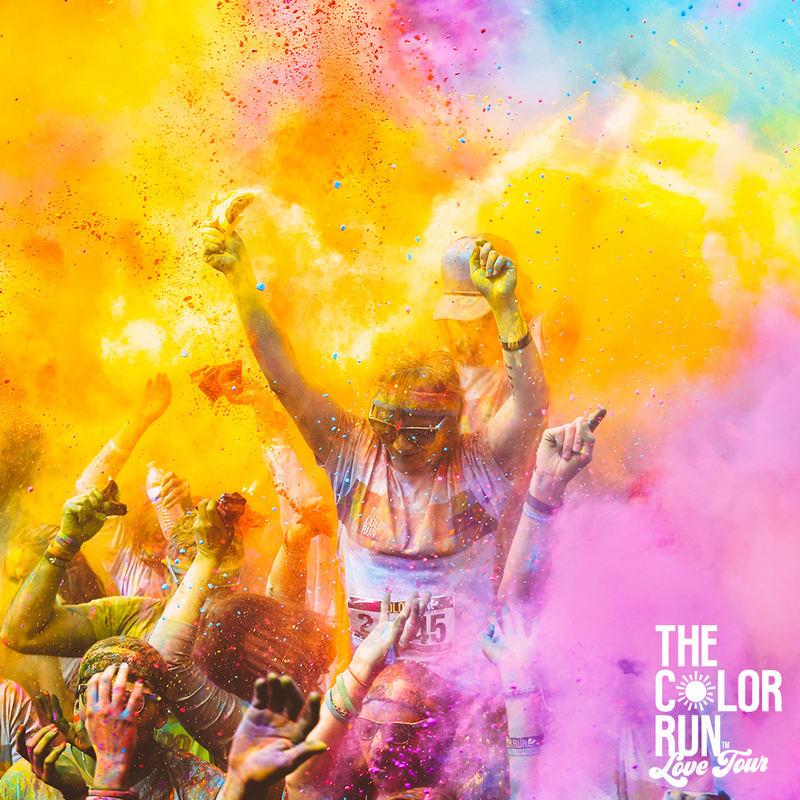 The Color Run is the world’s first colour 5k event and was founded in March 2011 to promote healthiness and happiness by bringing the community together to participate in the Happiest 5k On The Planet. It is now the single largest event series in the world, having exploded since our debut event. We have more than exceeded our growth expectations, now hosting events in over 200 cities and 40 countries. By creating a race that’s more about the memories you make than your mile-per-minute, we make running accessible to everyone, no matter their experience level or ability.